the following planned screening has been cancelled. 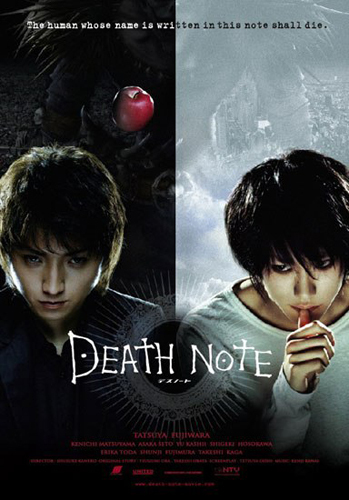 Next screening will be... "Death Note" & "Death Note II: The Last Name"
(live action versions) Double Feature! ... on 30 August, 2015! Get on our email list (see the form on the right) to get updates! For those with expanded minds... or who are willing to expand them! Dragons From Asia is a social event... Not only do you get to watch great movies, we make sure you have the time and opportunity to talk about them with people who have similar interests! 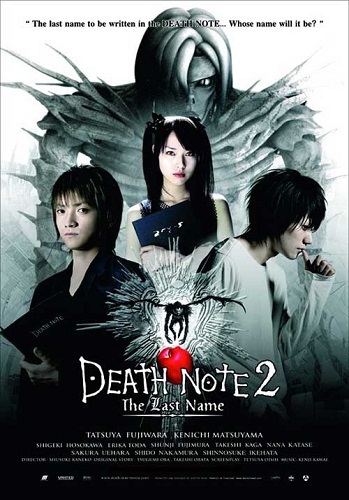 Double Feature: Death Note & Death Note II: The Last Name (Japan, 2006, both Rated M). Read more on IMDB here and here, or Rotten Tomatoes here and here. Light Yagami finds the "Death Note" - a notebook which will cause the death of anyone whose name is written in its pages. He proceeds to start ridding the world of its criminals. A genius detective - L - is assigned to find and catch the perpetrator! This is an amazing movie... a thinking person's "thriller/horror" (without the gore), a "battle of wits", and a "detective story" all rolled into one! Based on the Japanese manga of the same name. Rated 8.0 and 7.4 on IMDB, respectively! This is the first time in 7 years these two movies have been shown together on the big screen in Australia! You can book your tickets below. An email will be sent to you confirming your ticket purchase. Get off the tram at Errol St. in North Melbourne. Walk north along Errol St. a block or two until you reach Arden St. Turn right on Arden St., and the Electron Workshop will be a few doors down the street. Driving: There will be plenty of street parking available for free around the corner on Leveson St.
Cycling: There will be facilities to park your bike inside the building.